Wimbledon 2016 finished yesterday and Murray won his second title. Whenever I read anything about Wimbledon or watch any of the matches, it takes me back to the time I went to Wimbledon in 2010. When I was younger, I used to love watching Tennis and I even had Tennis lessons for a few years. 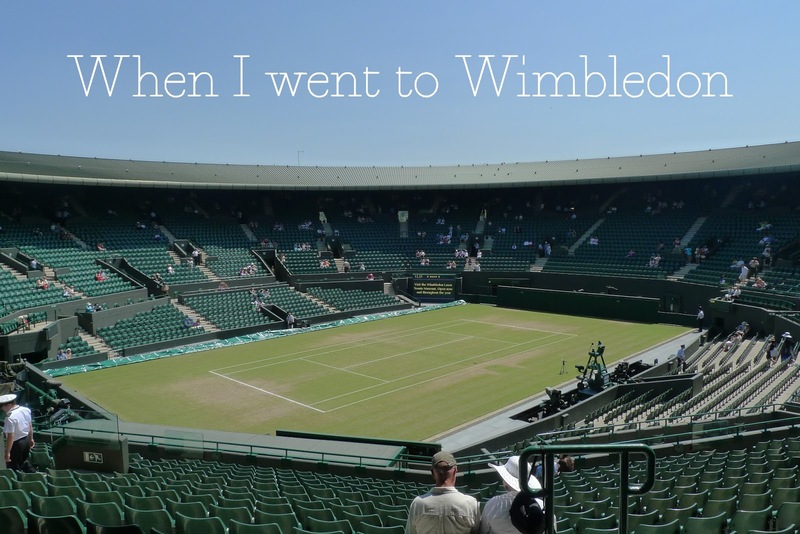 For today's post, I thought I'd tell you about my 2010 experience at Wimbledon and show you some photos from our time on Court No.1. We entered the ballot in 2009 and were lucky to get tickets for the second Monday of the tournament (the 4th round matches). I was in year 9 at this point, but I was given permission to have the day off school. I'd been anxiously watching the matches during the first week of the tournament, wondering who we'd get to see play. Back in 2010, I was a big fan of Rafael Nadal, so I was really hoping he'd be on court number 1 on that day. He was indeed scheduled for our court, much to my delight, so off we set on the Monday morning very excited, getting multiple trains to Wimbledon. Once we got to the grounds, I remember squealing with excitement! We went straight over to one of the merchandise stands and I bought a set of tennis balls and a pink hat. Next we walked to court number 1 and found our seats for the day ahead. The first match we saw was Justine Henin versus Kim Clijsters. Both of these players are retired now, but it was a really good game - especially as it was two of Belgium's top players against each other. Clijsters won and went through to the quarter finals. After the ladies match had finished, we had a short break before the men's matches started. First we had Novak Djokovic and Lleyton Hewitt, then it was Rafael Nadal versus Paul-Henri Mathieu. You quickly figured out who Hewitt's fans were in the audience; they had t-shirts in the Australian colours and were all sat in a block together. It's really interesting writing this in 2016 and looking back, Djokovic wasn't as successful then. Who knew that in 2011, he was going to take the world by storm! Djokovic won the game and I remember thinking he was so composed and professional, despite Hewitt's slightly rowdy fans. By the time Rafael Nadal got onto court, it was very late. I only got to watch the first set as we had a long journey home, but it was so exciting to be able to watch him play live, even if it was only for a short time. 14 year old me was very happy. 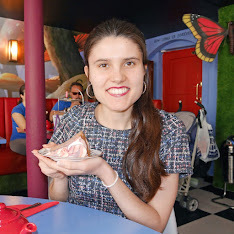 I had an amazing time at Wimbledon; I can't believe it was 6 years ago! I'm not so interested in Tennis now, but I still really enjoy hearing how Andy Murray is getting on. Congratulations for yesterday's win Murray!